Struma is the largest river in western Bulgaria. It connects the country with Greece. The Greek name of the river is Strimonas. Struma ranks as the fifth longest river in Bulgaria. This river is a natural communication, connecting Sofia and Thessaloniki. Struma stems from Sofia’s Vitosha mountain. It rises near the fourth highest peak in the country – Cherni Vruh. The place where it starts is situated 2180 meters above sea level. The river flows south. Its ultimate destination is the White Sea. From Vitosha to the Greek border the distance traveled by the Struma River is about 290 kilometers. Longer than Struma are the rivers Osam, Maritsa, Iskar and Tunja. Before the river flows through the Greek border, it passes the infamous village Kulata. In Greek territory the river just crosses the Serres region. Struma flows into the Aegean Strumski Bay, also called Orfanski or Rendinski. This bay provides the name of the picturesque river. The total length of Struma river is 415 km. Catchment area of the Struma is an impressive 10 800 square meters. In Bulgaria the river flows mostly in high altitude areas. The average altitude of Struma is 900 meters. Altitude along it ranges from 2915 meters the highest Vihren peak to less than 90 meters in the valley at the border tower. The largest slope of the river is in the region of Pernik (65 ‰), and lowest in the Petrich-Sandanski valley (1, 5 ‰), where the course of the river is the most shallow. Very beautiful hills surround the bed of the Struma. There are also hollows, washing in its waters. Along the Struma are 56 lakes. Among the biggest are cold lake, Pchelina and Dyakovo. In Bulgarian territory Struma passes through towns and villages of Pernik, Kyustendil and Blagoevgrad. The river is a major source of the settlements of these areas. Wastewater treatment plants are in Kyustendil, Dupnitsa, Pernik and Sofia. According to hydrologists Struma irrigates about 50, 000 hectares. The largest tributaries are the rivers Strumeshnitsa, Dragovishtitsa, Dzherman, Bistrica in Pirin and the Rila river. As most clean and deep, even in the summer are considered the tributaries springing from the highest parts of Rila and Pirin. Struma river takes water inflow of about 42 tributaries. It is believed that the generally clear waters of Struma are due to low industrial production in the regions through which it passes. At the bottom of the river can be found marble and slate. In some sections of the Struma are even found concentrations of gold. The deepest point of the river is 3 meters. The uncontaminated waters of Struma create perfect conditions for spa and wellness tourism. Along the river there are already several hydropathical facilities. The most famous among them are those in Kyustendil, Nevestino Sapareva bath, Rudartsi and Sofia. Around it are several thermal springs, whose immense benefits that attract thousands of visitors. 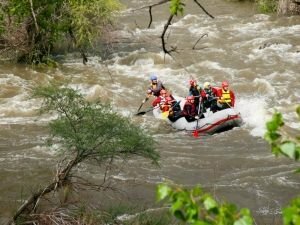 The waters of the wild places of Struma have been turned into a great attraction for fans of extreme sports and nature lovers. 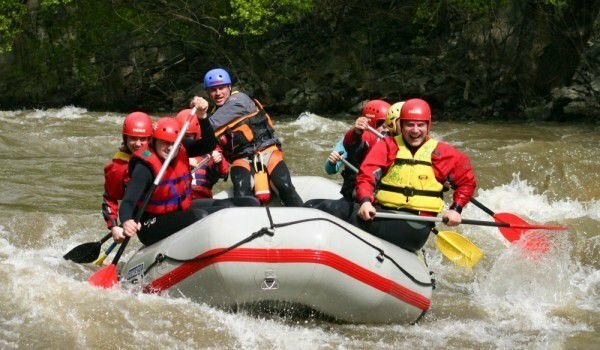 Riding of boats, biking, rafting, visiting waterfalls. Adventures begin at the beginning of Kresna Gorge. Extreme skiing season usually starts from mid-March. The riverbanks are a favorite place for picnic, barbecue and tent camps. Around the river shortly after Blagoevgrad is a climbing wall, rope park trolley, rope bridges and walking lanes. The banks of the Struma are used as a perfect destination for avid sportsmen. Around the banks of the Struma you can see many people doing their daily jog. Of course, the Struma is a favorite of many avid anglers - professionals and amateurs. 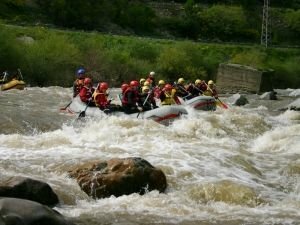 Undoubtedly the river and surrounding mountains, or lower valleys make it one of the most picturesque natural attractions of Bulgaria, a unique place for recreation, entertainment or outings.